India is a country of many metropolitans that make a very good tourist destination. 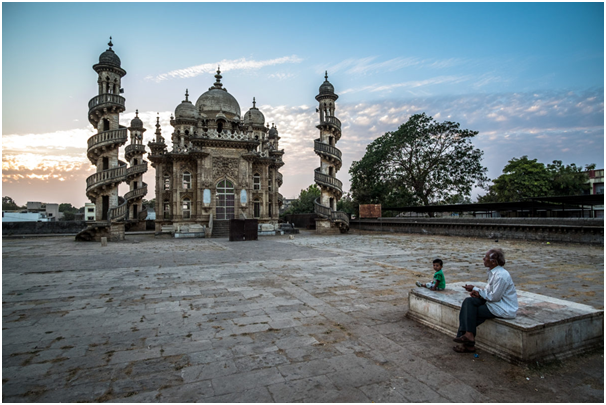 If you are thinking about planning a trip to some of the most interesting places in the western part of India, then you should definitely plan for a trip of the state of Gujarat, where a couple of days stay in Ahmedabad is a must. The Sabarmati Ashram:This is the most prized possession of Gujarat. Once the residence of Mahatma Gandhi for almost 12 years, this place is of extreme historical significance. It is from here that the Gandhiji and his followers commenced on the Dandi March that marked the non-cooperation movement. It is located on the banks of the river Sabarmati and promotes a life of renunciation where the people who stay here manufacture products for their daily use with their own hands. Today when you visit this ashram you can enjoy a nice tour of the museum and even visit the hut where Gandhijiand his wife lived for many years. The Kankaria Lake: One of the most interesting features of Ahmedabad as a city is that it offers places of respite from the daily city rush. Kankaria Lake is one such place that offers the perfect place to go to when it comes to some fresh air and tranquil waters. It is the largest lake of this city and you can sit by the waters of the lake and enjoy a nice time with your family. Every evening there is a wonderful display of lights. Dada Hari Wav:When you look for hotels in Ahmedabad, make sure that they are centrally located. Then it will be easier for you to access important places of interest like the Dada Hari Wav. This is a step well that was built under the instructions of a woman who came from the harem of Sultan Begara. Intricate carvings and impeccable engineering makes this one of the most noted places in the city. The insides of the step well always remain cool and it was previously used as a place for water conservation. World Vintage Car Museum:Well if you are into cars then this a must visit place for. With cars both from the vintage and the classic era adorning this museum, a tour through this place definitely worth the time. JhultaMinar: This is a very interesting architectural possession of Ahmedabad. The JhultaMinar is basically two minarets that have a very unique feature which is that if you shake one of the minarets, the other one too vibrates. There is a particular architectural feature that makes this possible and hence this is a place that you should definitely visit. These are the top 5 treasures of Ahmedabad that need to be explored when you are touring through the city.